Credit Card Debt can feel like quicksand, and debt collectors can make you feel less than human. Even when you are doing your best to stay on top of all the payments, sometimes there just is not enough there to pay everyone. We may be able to negotiate with your creditors to settle your debt, stop harassing phone calls, challenge debts that are invalid or unenforceable, and make credit bureaus remove inaccurate information from your credit report. If you are being sued on a debt, we can defend you in court. 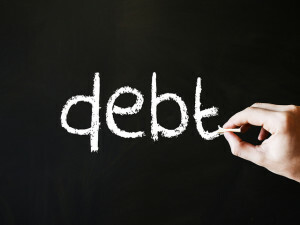 In order to get a judgment against you, your creditor must prove that you owe the debt. Many debts are sold over and over again, and by the time someone sues you, they have no evidence that you owe the debt, or that they are entitled to payment. If your debts are out of control we can discuss alternatives, like reorganization or discharge in bankruptcy. We can help you find a path to resolving your debt so that you can start rebuilding your life. Stop treading water and call us today. We also offer collections for private lenders. Whether you are owed money for work performed, payments on property sold, or repayment of money lent, we can make demand and pursue your debtor in court. We will evaluate the likelihood of obtaining judgment, and the likelihood of collecting on any judgment obtained, before we file suit, because there is no reason to throw good money after bad. Faro & Crowder, PA is located at 1801 Sarno Road, Suite 1, Melbourne FL. We provide services throughout Central Florida and the Space Coast including Melbourne, Titusville, Palm Bay, Merritt Island, Cocoa, Cocoa Beach, Satellite Beach, Eau Gallie. Contact us today to set up a free consultation with an attorney to discuss your credit card debt relief options.